Here we are listing best 5 email apps for Android in this October with high rated performance. This list could be useful for you if you are looking for the best alternative to the default alternative client for your Android devices. My favorite email app. 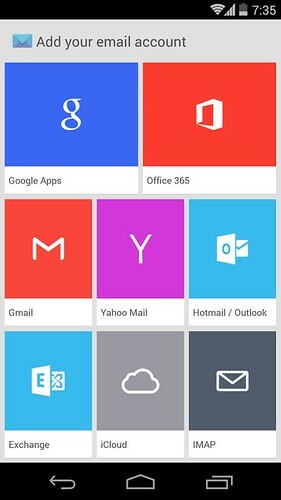 CloudMagic is an award winning email app for Android. The UI designed perfectly both for Smartphones and Tablets. 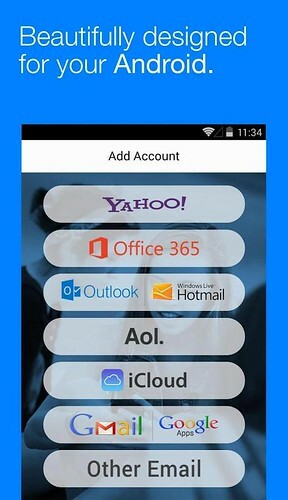 CloudMagic comes with the support for Gmail, Exchange, Yahoo, Outlook, iCloud, Google Apps, Office 365 and any IMAP account. CloudMagic comes with integration with third-party services like Salesforce.com, Zendesk, Pocket, Evernote, OneNote, Todoist, Trello, Asana and MailChimp integrated with your email for quick actions. CloudMagic The Webby Awards People’s Voice the wall Street Journal calls The best mobile email app. 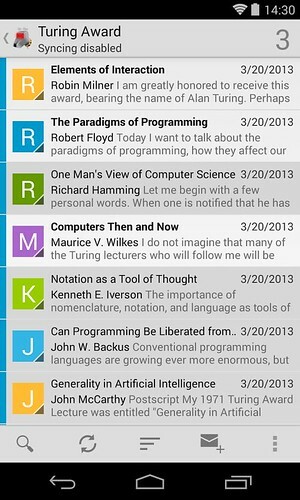 Consider as the best email app for Android. Users can send, receive, trash and archive messages easily with MyMail app. 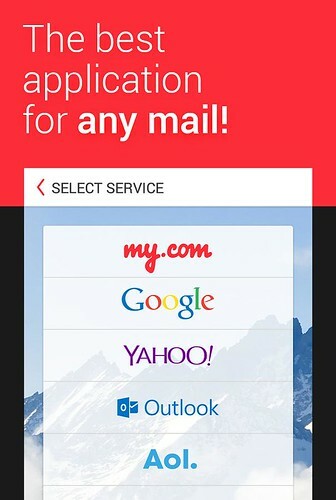 MyMail supports Gmail, Yahoo!, AOL, iCloud, Hotmail, Outlook.com, GMX and other IMAP or POP3-enabled mailbox. Developed by the popular cloud storage service provider Dropbox. Currently MailBox only supports for Gmail and iCloud. Mailbox checks your email from the cloud and delivers it to your phone securely. 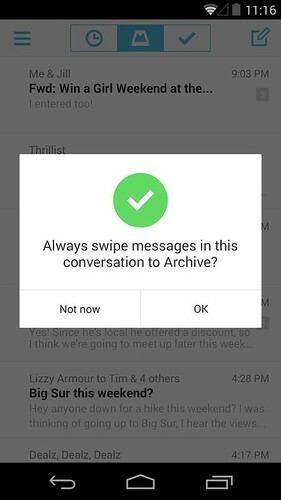 Now with Auto-swipe, Mailbox learns from your swipes and snoozes to automate common actions. Mute that conversation you don’t care about, snooze messages from your friend to this evening, or route all of your receipts to a list — automatically. My another favorite app. Bluemail is a beautifully designed universal email client that supports Gmail, Yahoo, Outlook, AOL, iCloud, Office365, Google Apps, Hotmail, Live (Live.com), Yandex, Mail.ru, GMX, mail.com, Hushmail, Zoho, Web.de, QIP, rambler, and any other IMAP mailbox. Blue Mail helps making your emails actionable so you can take care of what’s really important. Avoid having to remember or the tedious search to find email on your mobile device. No colorful interface or attractive designs. K-9 Mail is an open-source e-mail client with search, IMAP push email, multi-folder sync, flagging, filing, signatures, bcc-self, PGP, mail on SD & more! K-9 supports IMAP, POP3 and Exchange 2003/2007 (with WebDAV). How to Get an OnePlus X Invite?